Starting six months before the 2016 presidential election, director Jim Stern put his life on hold and — driven to understand what seemed incomprehensible at the time — traveled through red states to interview and spend time with Donald Trump supporters from different backgrounds. It was a search for insights and answers, for anything that could explain the billionaire’s surging appeal and why these voters remained untroubled by so many troubling things the candidate had said and done. This journey became his Heart of Darkness into the American body politic at a profoundly critical point in our history. 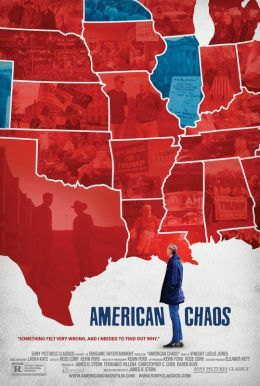 And the film he returned with, AMERICAN CHAOS, sheds unique light on difficult issues roiling the nation — chronicling a cultural divide, still dangerously misunderstood, that continues to tear at the fabric of our democracy.